Meet Korea's top new band, A.N.JELL! Taekyung (Jang Keun-Suk) is A.N.JELL's arrogant and insufferable lead singer. 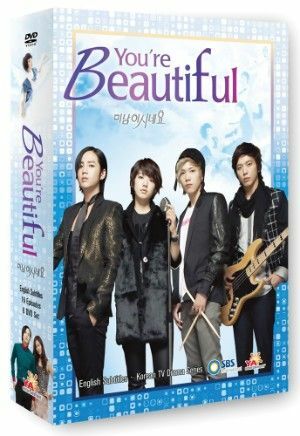 Guitarist Shinwoo (Jung Yong-Hwa of C.N.Blue) is too perceptive for his own good, and happy-go-lucky drummer Jeremy (Lee Hong-Ki of F.T. Island) is just plain slow on the uptake. Into the boy band mix comes A.N.JELL's bumbling newbie, Minam (Park Shin-Hye). But what the fans don't know is that he's actually a she! Roped into posing as her twin brother, Minam has to hide her real identity. But secrets have a way of coming out, especially when her bandmates start falling for her! Audio tracks: Korean, English subtitles.